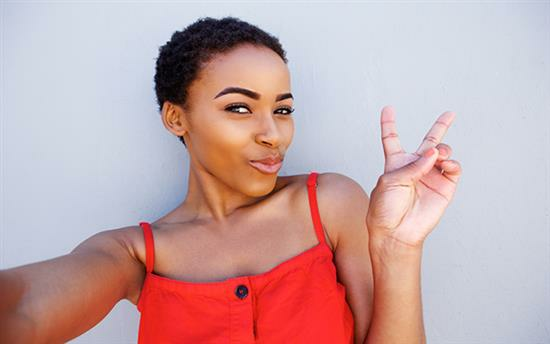 Facial rejuvenation treatments were trending again this week, following the announcement by the American Society of Plastic Surgeons that ‘selfies’ are behind the rise in people seeking dermal fillers. ASAPS unveiled research suggesting the global obsession for the ‘selfie’ (taking a photograph on a mobile phone of one’s own face) and the ever-increasing popularity of social media platforms such as Instagram was directly responsible for the soaring demand in facial rejuvenation treatments including dermal fillers in America and soon to hit the UK. Non-surgical lip enhancement treatment using dermal fillers was named the top cosmetic go-to procedure by the organisation, who claim reality TV star and American model Kylie Jenner – who admitted to undergoing facial fillers last year – is another reason for the spike in enquiries about lip fillers. According to the statistics from the American Society of Plastic Surgeons, 2015 was the biggest year ever for lip augmentation procedures and facial rejuvenation treatments generally. Specifically, doctors and surgeons are getting requests for Kylie Jenner’s look, specifically for her lips, and wrinkle reduction injections, such as Botox Cosmetic. The procedures, mainly lip injections with temporary dermal fillers such as Juvederm, have “exploded in popularity” says Dr. Norman Rowe from ASPS and account for a 48% rise in the patients seeking the cosmetic enhancement since 2000. “Patients are very likely to undergo lip filler treatment because it is usually a quick one, has immediate results, and has a dramatic effect on the patient’s persona,” said Dr. Rowe.